I finally sat myself down and got working on Miss C's annual school photos which have been sitting in my photo cubby since 2012 to now. 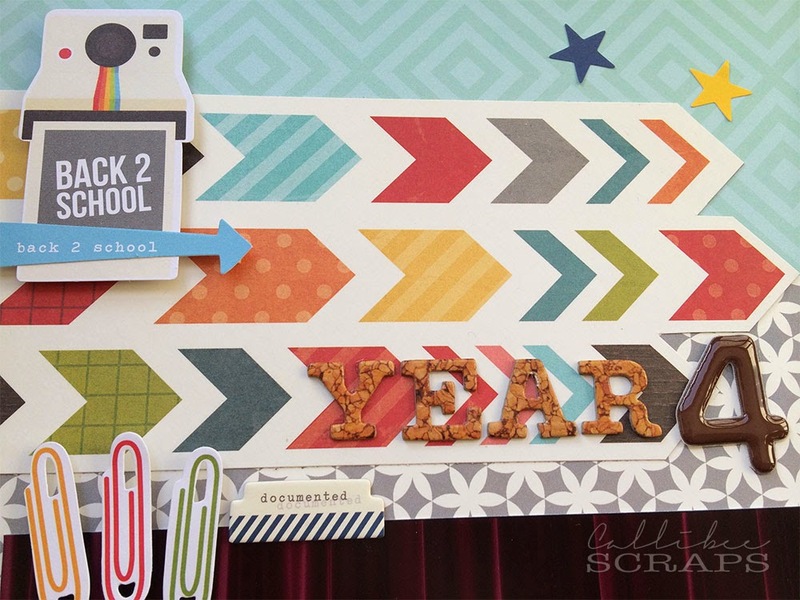 I bought a pack of school embellishments and just grabbed some other papers from my stash to match. Pretty easy really, as they are mostly just in primary colours. 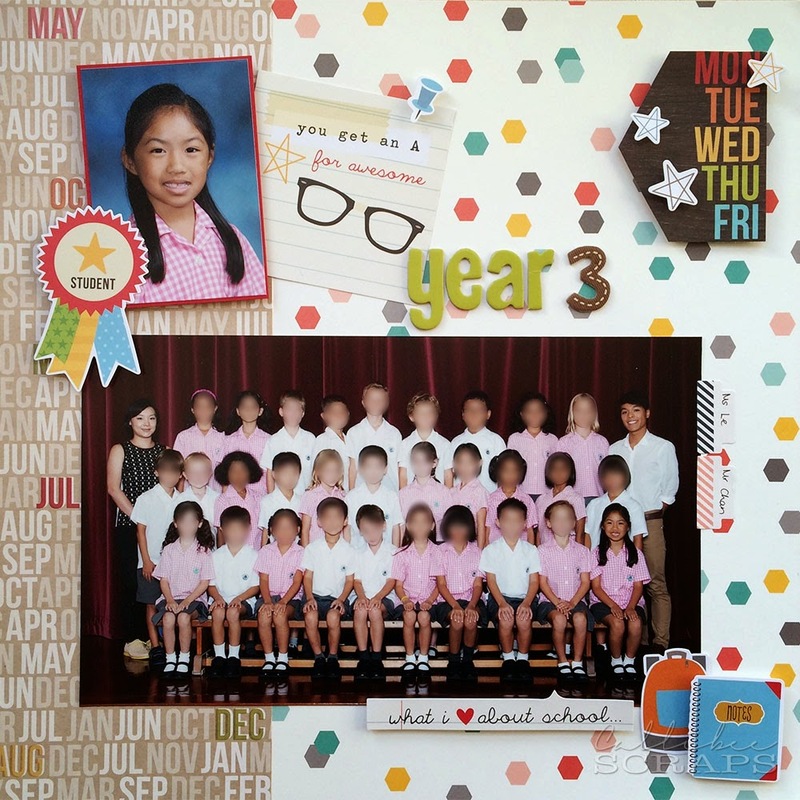 The class photo takes up a large space, so I kept the pages clean and simple, with just a few accents here and there. I split the embellishment pack over the three pages and still have some left over for next year. The fun thing about doing all three years at once is you can really see how Miss C and her little classmates have grown and changed from year to year. Easy and quick pages that can be done in one afternoon. Don't know why I didn't do them earlier. Ha.